The deep throated request echoed through the narrow passages of the Medina, catching me off guard and forcing me to pay attention to the dark, foreboding character approaching me through the mist. His face was shrouded in the night and he wore a pointed hat that immediately reminded me of a character from a Harry Potter movie. “Oui, Monsieur,” I responded with all of the gusto of a second-year French student, out of practice for several decades. The robed character muttered something in incompressible French and motioned for me to follow him through the winding streets of the ancient city. With no better recourse, I followed him, eager to rest after a long night journey via taxi from the northern border of Morocco. 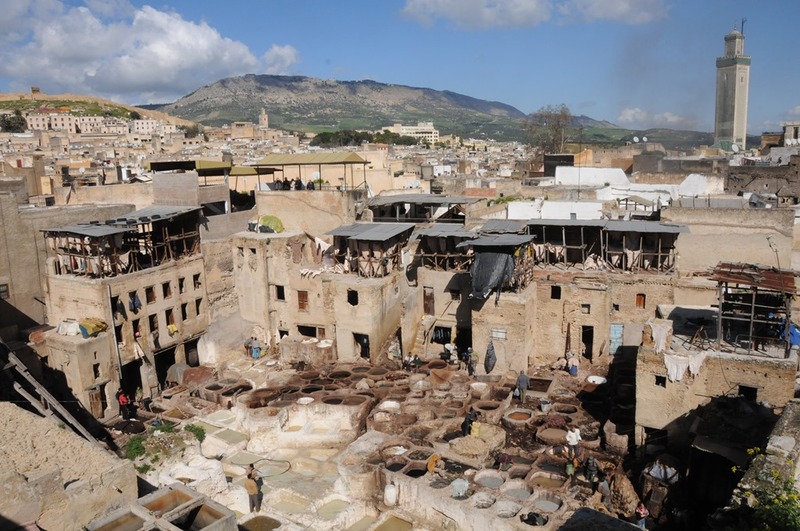 It was here, in the heart of the world’s largest car-free city that I was introduced to one of the most underrated tourist destinations in the world – the ancient city of Fes inside the African Kingdom of Morocco. Here in a former Moroccan capital, at the crossroads of Moorish, Berber, Arabic, and European influences, I found a friendly people at peace with themselves and the ancient world they inhabit.